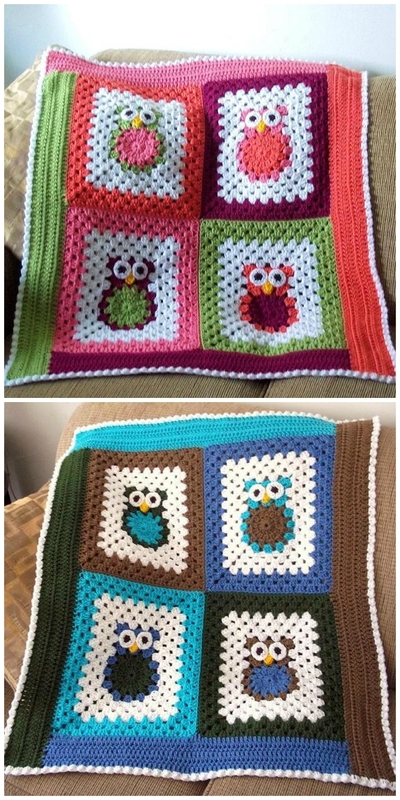 It’s one of the most popular Patterns on the planet and you’ll love this Owl Granny Square Pattern and if you’re a bit Owl Obsessed, you are going to love it. Check them out now. 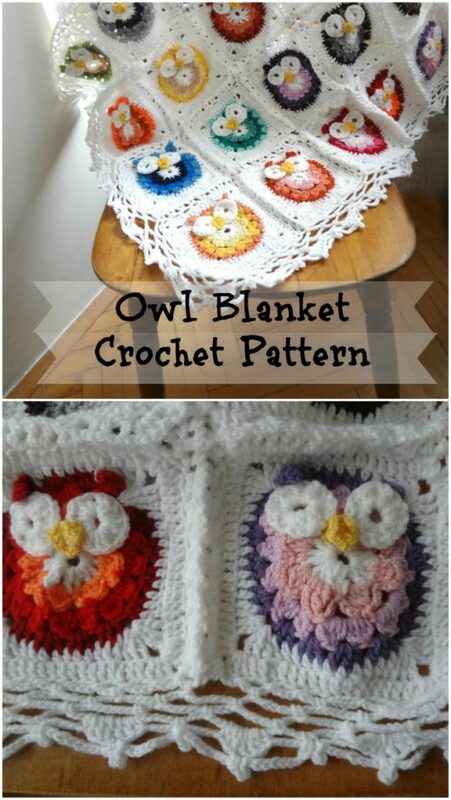 We love these Crochet Owl Granny Squares and you can make your very own blanket, pillow, garland, in fact, anything at all. It’s perfect for all of your projects and you will love the results. It’s another fabulous free pattern from one of our favorite designers. 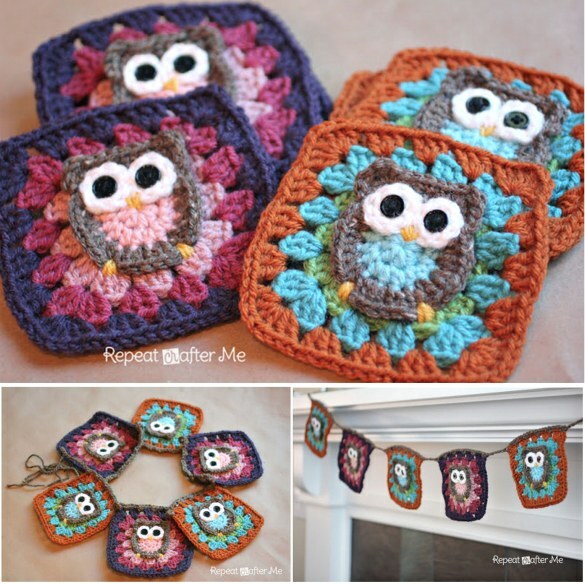 Sara Zimmerman of Repeat Crafter Me has also just released a book that you are going to love. Her book features lots of step by step tutorials, her signature gorgeous photography, and patterns that are so delicious, you could just about eat them with a spoon! 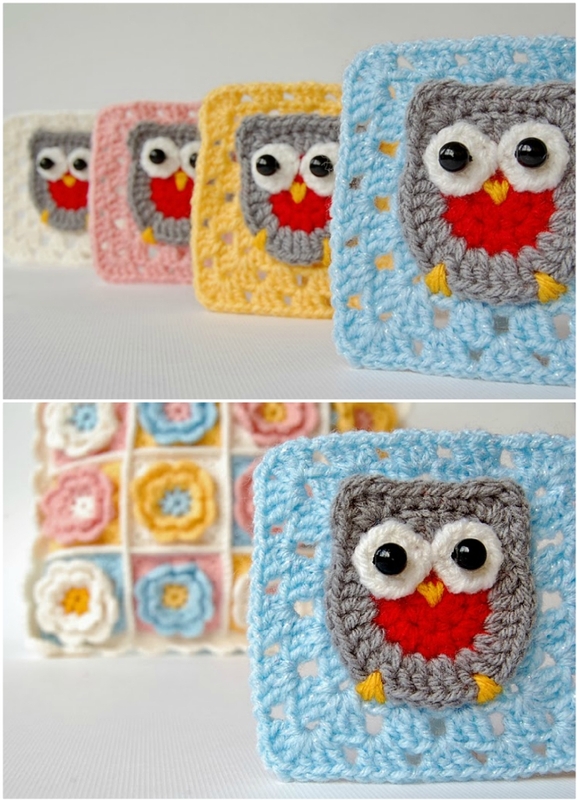 We have included a video tutorial that shows you how to make a Crochet Owl Granny Square. Fan Share: Look at what Linda made. 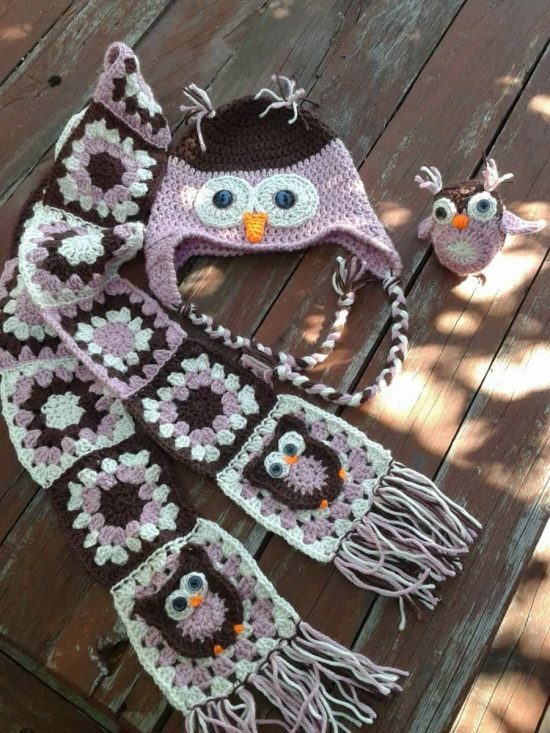 She added owl squares onto the bottom of a scarf and made a hat too! 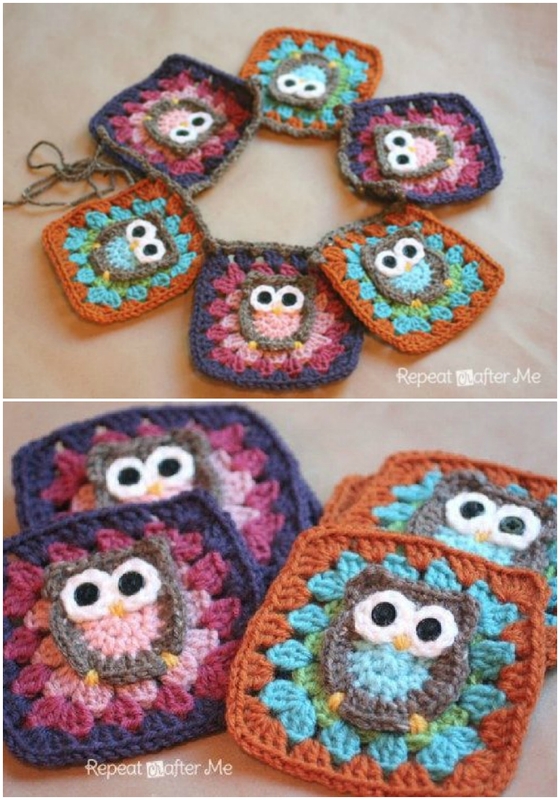 Want More Great Crochet Ideas?